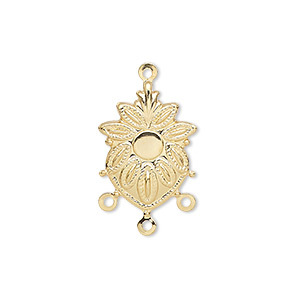 Drop, gold-plated steel, 14x13mm double-leaves with 3mm round setting, 3 loops. Sold per pkg of 100. 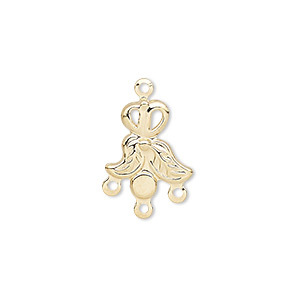 Item Number: H20-7884FD Have a question about this item? 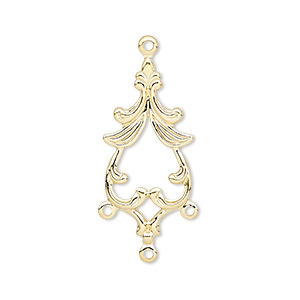 Create a variety of design with gold-plated steel drops. 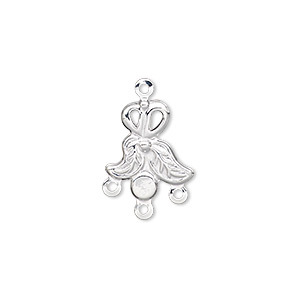 Drop, silver-plated steel, 14x13mm double leaves with 3 loops and 3mm round setting. Sold per pkg of 100. 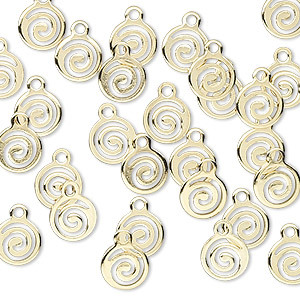 Drop, gold-plated steel, 17x16mm fancy shell with 3mm round setting, 3 loops. Sold per pkg of 100. 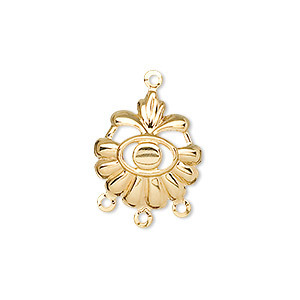 Drop, gold-plated steel, 19x14mm fancy sunflower with 3mm round setting, 3 loops. Sold per pkg of 100. 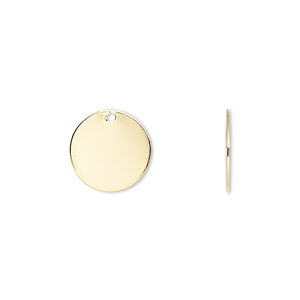 Drop, gold-plated brass, 27x13mm fancy spade with 3 loops. Sold per pkg of 10. Drop, gold-plated steel, 16x12mm fancy flower with 4mm round setting, 3 loops. Sold per pkg of 100. 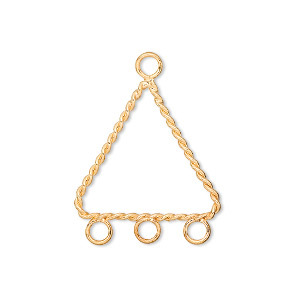 Drop, gold-plated brass, 24x15mm smooth triangle with 3 loops. Sold per pkg of 10. 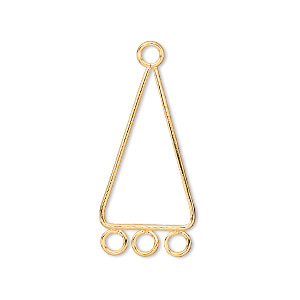 Drop, gold-plated brass, 21x21x19mm twisted triangle with 3 loops. Sold per pkg of 10. 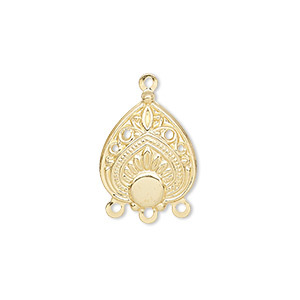 Drop, gold-plated brass, 12mm flat round. Sold per pkg of 100.